It had been years in the planning. Legendary Australian actor Jack Thompson was ready to head to Kakadu to make a new film called High Ground. But things got complicated when Jack was diagnosed with kidney disease in early 2018. It meant he would now require regular dialysis treatment three times each week, making it hard to travel. As his doctor said to his wife, “Mrs Thompson, you can have a dialysed Jack or a dead Jack”. There are no dialysis services near Kakadu. So Jack asked Purple House if they could help. 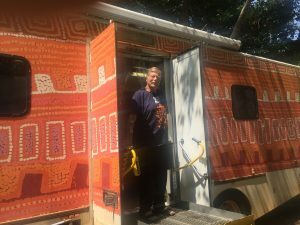 Purple House is the only provider of dialysis to patients in very remote areas through our 14 remote dialysis clinics across the NT and WA, and our legendary mobile dialysis unit called the Purple Truck. Without use of the Purple Truck, Jack simply couldn’t travel to Kakadu to make this film. But dialysis out bush can be expensive. 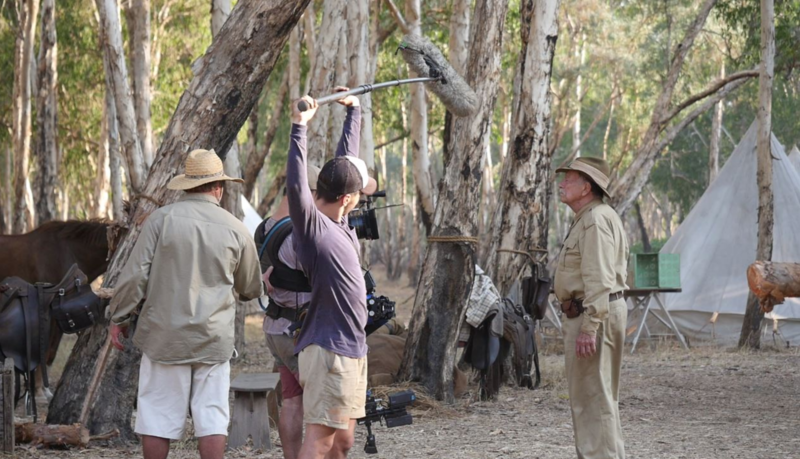 Thanks to your generous donation of more than $10,000, the Purple Truck spent October 2018 in Jabiru so that Jack could make his film. It gave Indigenous patients a chance to go back home to their country and communities for a month-long visit too! They were all dialysed together in the Purple Truck! A huge thank you on behalf of Jack and all of us here at Purple House. High Ground is making is an action thriller set in the 1930s. It tells the story of a young Aboriginal man raised by missionaries, who is recruited by a mounted policeman to hunt down a warrior leader in the epic landscapes of northern Australia, when a secret unravels that ultimately pits them against each other. High Ground features both Jack Thompson, Simon Baker and local Indigenous actors.